I love new apps. I love them like I used to love new school supplies, each September. There is something rejuvenating about the idea of loading up a new app and finding the path to peace and serenity. Well, that might be pushing it. 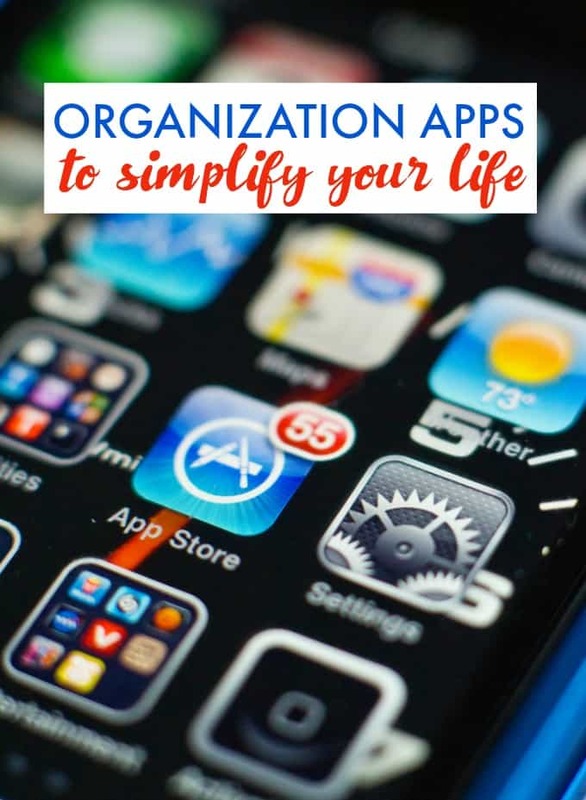 But a good organization app that works the way you do is priceless. Apps may not be able to massage your temples or pour your tea for you, but they can provide a lot of chill, if you find the right ones for your needs and you use them. That right there is the key! If you download and then ignore them, those apps are like the gym membership that you blame for not helping you trim and tone, even though it’s you who never goes! Depending on what you need, some of these apps may be just the ticket for you! Do you need to keep notes about… everything? Evernote—This is the gold standard for notes, lists and images. You can view your notes, divided into notebooks, on multiple platforms, always remaining up to date. For anyone who needs to keep different media consolidated onto one document, this works well. You can attach voice files, videos, images, documents and presentations to a note. For both personal and business use, this is a great way of keeping ALL the information about one topic, in one place. Do you want to keep masses of files at the ready? Dropbox—Whether it’s backing up pictures from your phone with the camera upload feature or sharing folders filled with stock photos for your latest blog project, whether it’s keeping a backup of all your files, or sharing specific files with different individuals, Dropbox is a great way to keep all your files in the cloud and accessible. Do you want to use your existing habits to your benefit? HabitList—Do you wish you drank more glasses of water every day or that you would be motivated to go to the gym three times a week? Habitlist can help you with these goals by allowing you to set your habits and how often you want to be reminded about them. You’ll stay motivated to be on track with badges, streaks and progress tracking so that eventually, the tasks you wish you did as a habit do eventually become just that! Do you want to tame your tendency towards procrastination? Procaster—This app helps you to deal with the basic reasons why we tend to procrastinate: the task is too big, you don’t know where to begin, you don’t know how to finish, you’ve made a mistake or your need for perfection (I wish I had this last one; I don’t!) With each task that you aren’t getting done, the app will help you break down WHY you aren’t getting it done and set you on the path to finishing. There is a timer included, which allows you a specified amount of time to finish and will remind you of possible rewards for getting things done. Sounds like the voice inside my head but now it’s in my phone! Do you need BIG tasks broken down into smaller ones? Things—Now on its 3rd version, this app, this is a to do list with a lot of extras. The ability to input events and the tasks that go with it. The ability to put a header for a task and then break it down into multiple subtasks, for one. The ability to look at your list in different contexts (Today, Tonight, Upcoming…) Example? Say you’re planning a trip to France. Your main task is Plan Trip to France but under that are all the various tasks that go into that, in groupings such as: Booking, Packing, Researching… Within each of those, you can have checklists. Or you can just have one big list. Whatever works for you. You can even speak your reminders into the app and add a time on it so that you get a notifier. Do you want to know where you spending (wasting) time? SmarterTime—Do you ever think you could be so organized if only you knew where all your time was going? Look no further than the SmarterTime app. With this, you can input data as to what you are doing, when and eventually, the app starts to fill in blanks where you don’t indicate anything, based on historical and phone data. You can look at the analyzed results that show you where you are spending time, on what apps and where you could probably trim by adding customized goals. While only available for Android at this time, the iOS version is in the works. Do you need the ultimate to do list app? Todoist—Touted as the perfect way to unclutter your mind, ToDoist allows you to record and organize your tasks, add deadlines, prioritize what you need to do with colour-coded levels so you can see what’s going on at a glance. You can also track your progress on tasks, which visually helps you stay on point. Todoist also connects with some of the tools you may be using already like Google Calendar, Dropbox, IFTTT, and Alexa (Amazon). Do you find things you want to read online ALL THE TIME? Pocket—You’re browsing your Twitter feed when you see an article you might want to read but not wanting to go down that rabbit hole at that moment, you like it and put it aside. Then you find a post on a topic of interest online, via a news feed. Then another on a blog you read all the time. You’re tempted to read them right there and then because you know otherwise, you might forget. How can you get back and remember to read all of these? Put them in your Pocket. The app that allows you to cache articles from a variety of platforms (including a desktop browser, via an extension), organize them and read them all later, online or offline. Do you tend to forget passwords? 1Password—How many passwords do we have? And they’re all supposed to be unique with different characters and not mean anything. So how can we remember them all? We can’t, unless you get an app like 1Password. It’s a digital vault for your existing passwords, a password generator and more, available for individuals, families and teams. All of your various passwords are stored under one Master Password (or fingerprint for iPhone). Never, ever wonder what your password is again, which will save you so much time and energy. Do you shop the sales and spend a lot of time looking for them? Flipp—This one stop shop app shows you all the flyers and sales in your local stores and matches your list of items to what’s available on sale. You don’t have to go from store to store anymore. Just compare on your app and pick the place that has your best overall value for money, saving you a lot of time in the process. No more sitting with paper flyers, clipping coupons! If you’re like me and you have your phone with you all the time, these apps can help you get on track with your work, personal tasks and more, stay on track and achieve your goals. They won’t pour you a glass of wine at the end of the day but they will help you make sure you deserve one! Do you have a favourite app that helps you, or your family, stay on track? You might also like a guide to cell phone etiquette, how my cell phone makes my life easier and how to organize bills. My favorite app is COZI. It’s a calendar the whole family can share. Each member gets a color coded dot so it is easy to see who needs to be where and when. We can all access on our smartphones, tablets, or desktops. It also has a shared grocery list and to do list. I don’t think my family could live without it. I am really bad at organizing, i make scribbles here and there bit generally organizing my schedule is a resl headache, these all sounf like really viable solutions. I am particularly bad with passwords, this has really been a great inconvenience for me, ipassword sounds like the way to go. i need to take advantage of all these apps out there! I do use Flipp though! Love it.